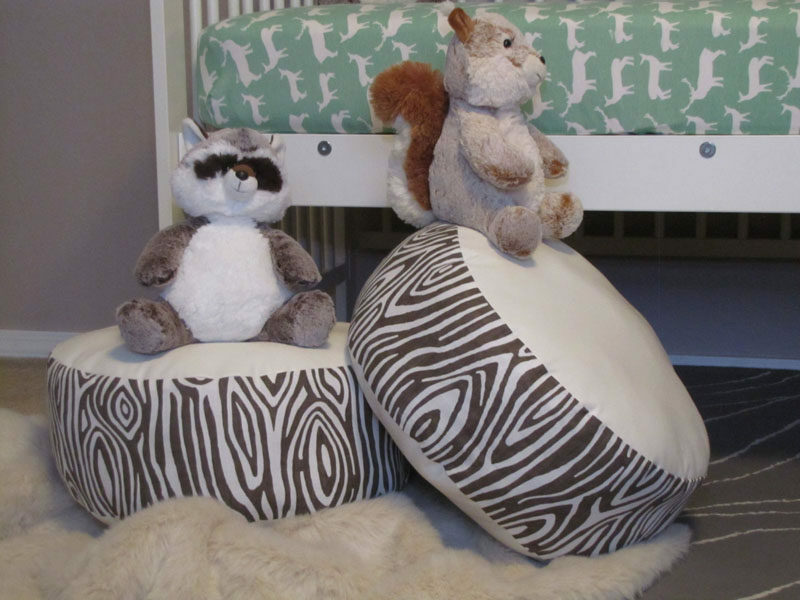 A woodland nursery theme is one that’s great for both boys and girls. Once the basics are in place it can then be made as girly, boyish, or neutral as you like. 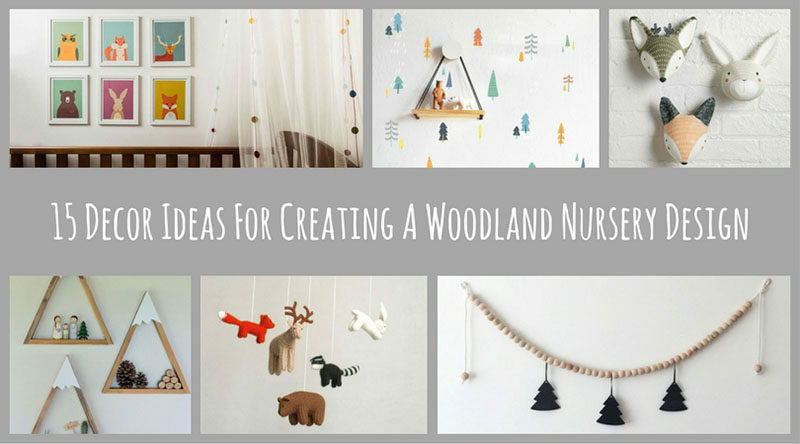 To give you some help with finding the perfect basics, we’ve compiled a list of 15 things to include in your woodland themed nursery. 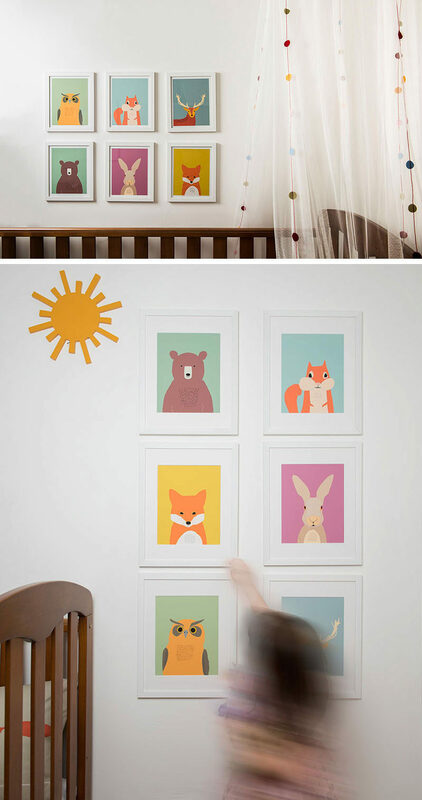 Every room needs wall decor and the nursery is no exception. 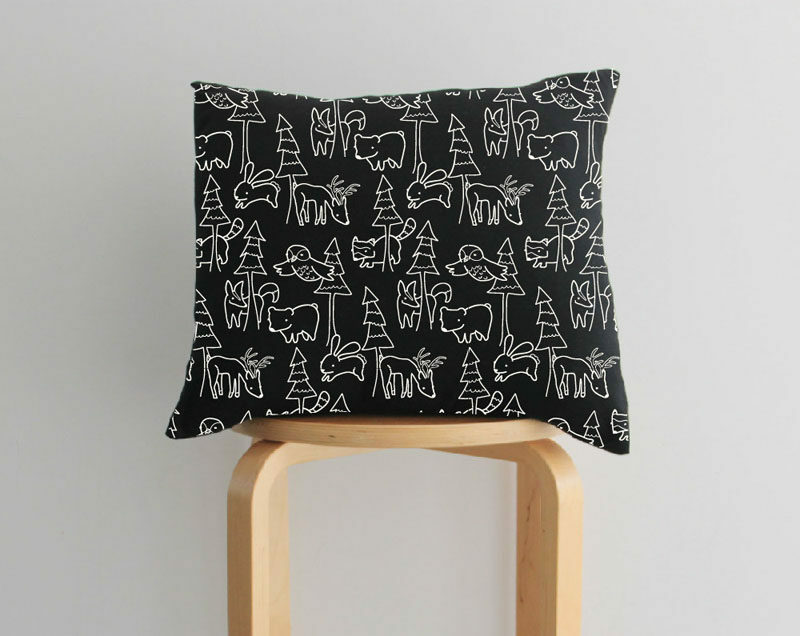 With a woodland theme you’ve got a few options like little forest animals, trees, and mountains. 1. 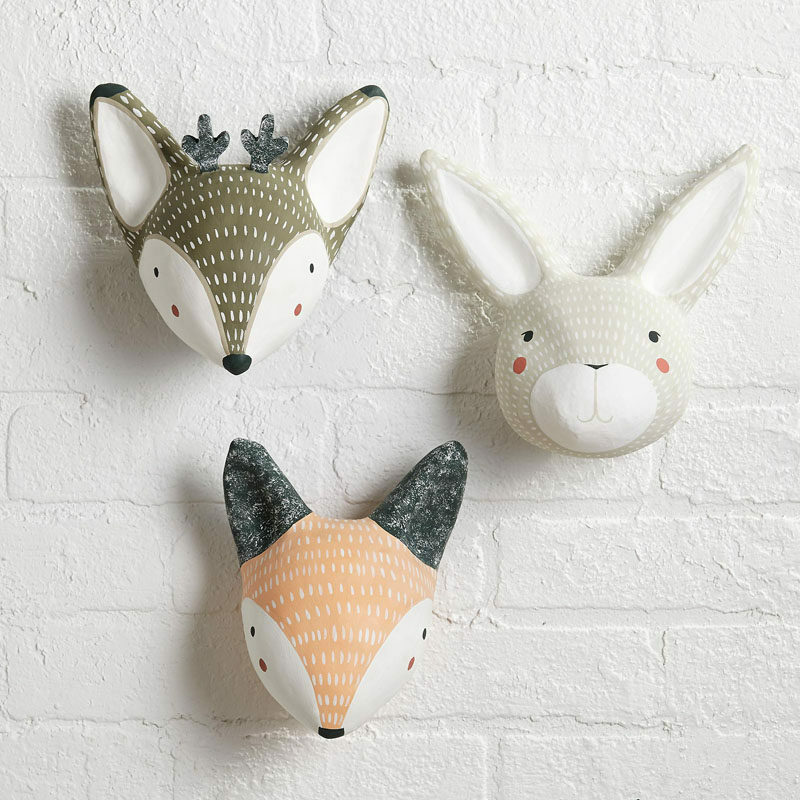 These mounted animal heads add a whimsical touch to your walls and are neutral enough to match any color scheme. 2. Create a woodland setting using wall decals with trees, birds, and animals. 3. 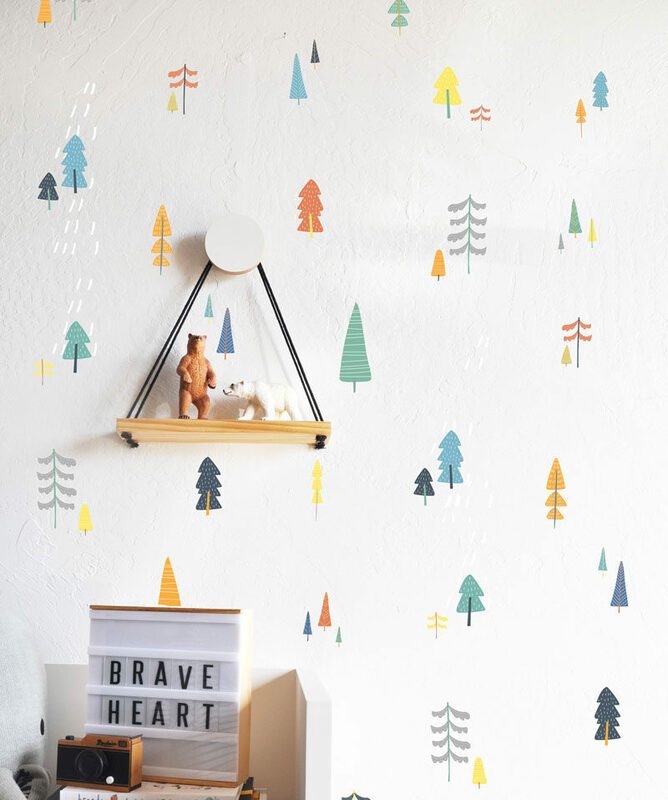 Small colorful tree wall decals create a more subtle but equally as adorable woodland setting. 4. Include your favorite woodland creatures in the nursery with cartoon prints on colorful backgrounds that are in keeping with the other colors in the room. 5. 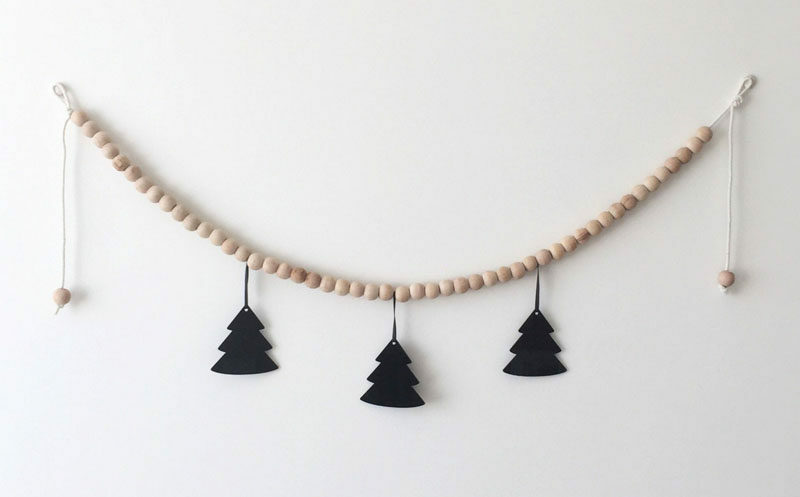 If you’re going for a Scandinavian woodland look, a wood bead garland with tree silhouettes is a must have. With babies comes lots of extra stuff. Make sure you’ve got enough storage space by including fun shelves that go along with the woodland theme. 6. 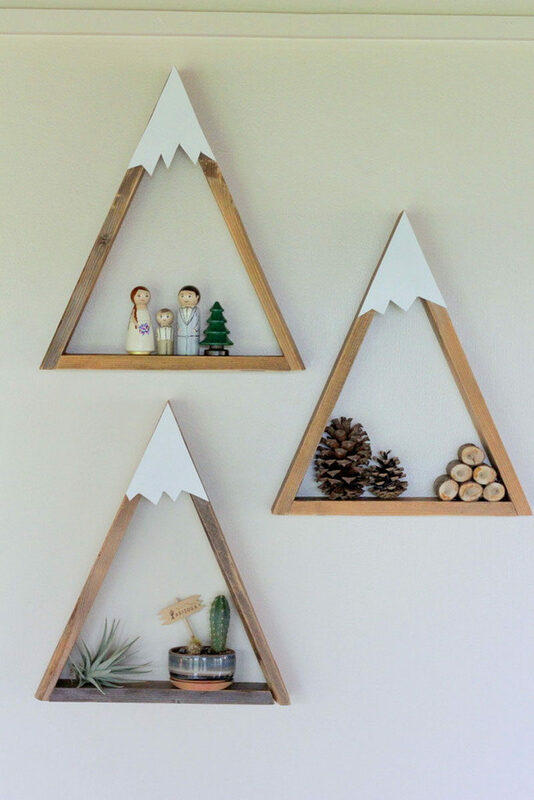 These mountain shelves are a fun way to put a twist on a regular triangle shelf and create the perfect modern woodland shelving solution. 7. 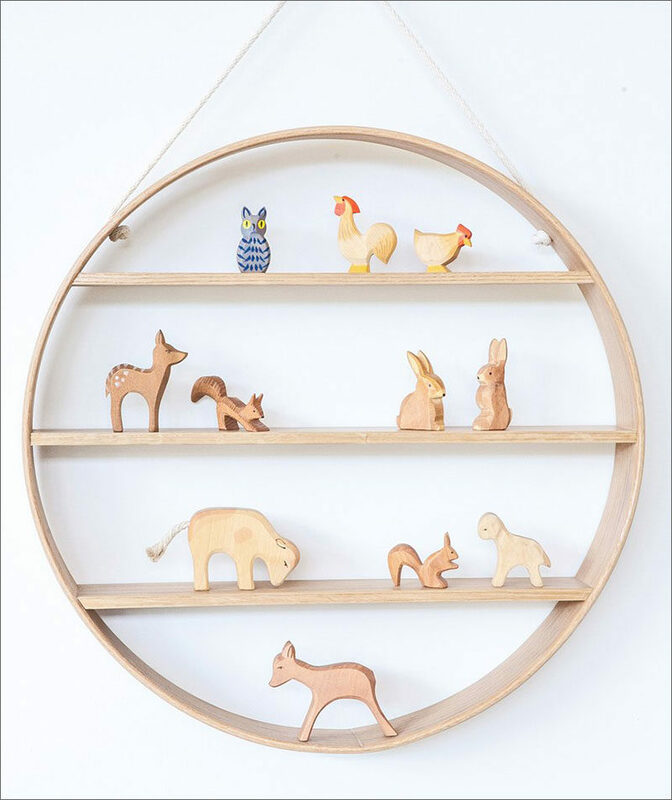 Wooden woodland creatures are likely going to be included in your nursery so make sure you’ve got the perfect shelf to display them on. 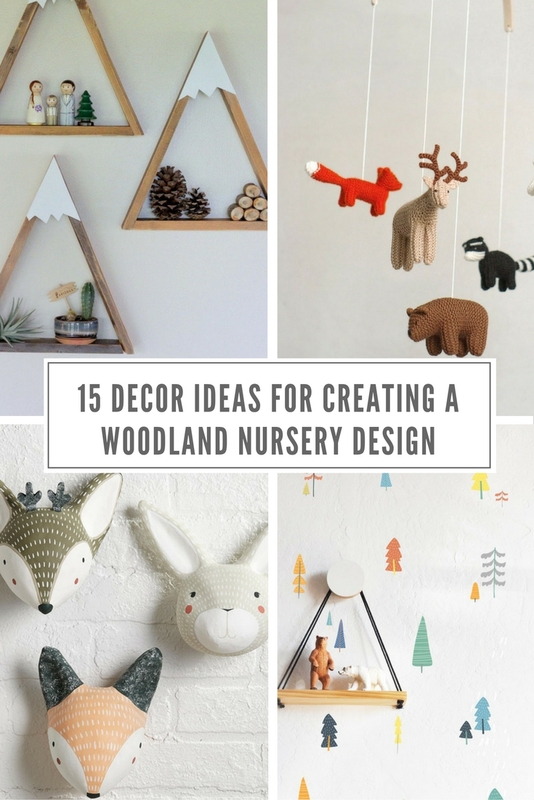 Take your woodland nursery to the next level with a few extra pieces of nature themed decor. 8. 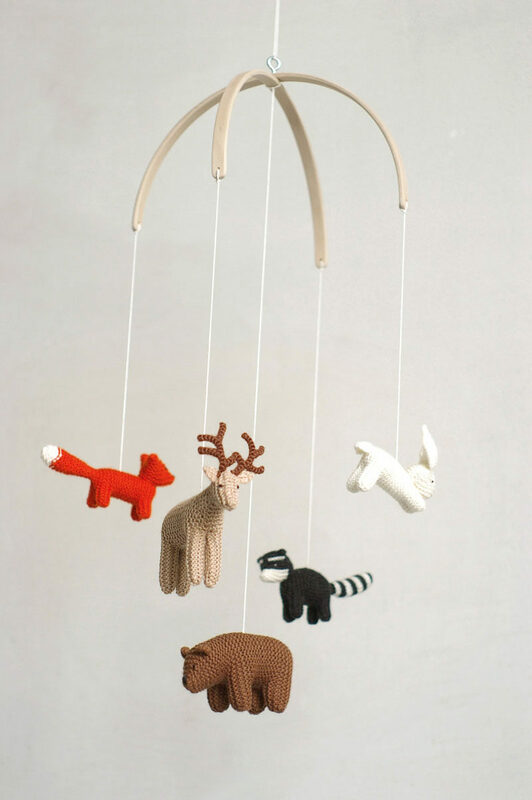 A mobile made from tiny knit animals will keep your baby entertained and tie in with the rest of the woodland pieces you’ve included in the nursery. 9. Toys, blankets, books, dirty clothes, and other things can get overwhelming fast. 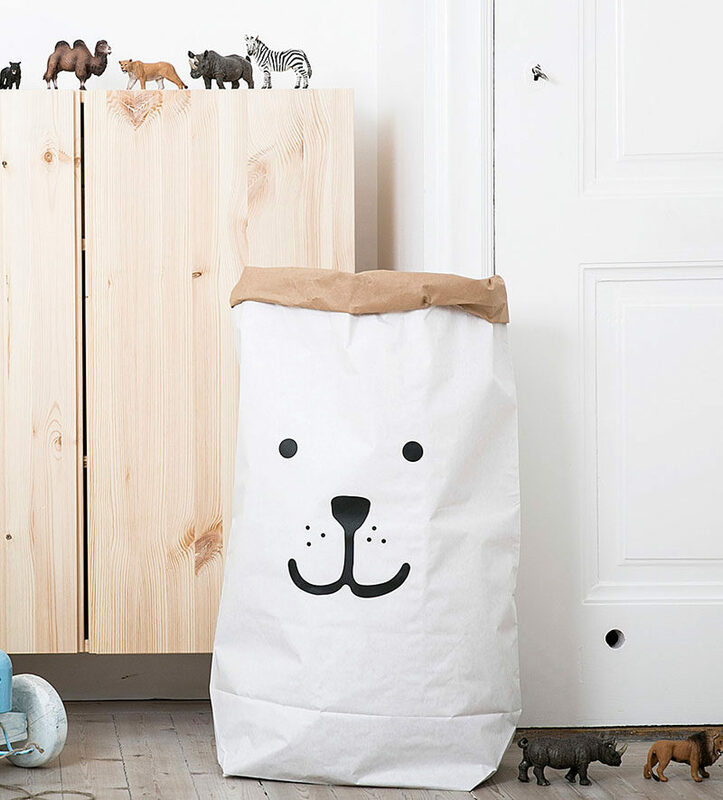 A large paper bag with a friendly animal face on it can help keep things under control. 10. 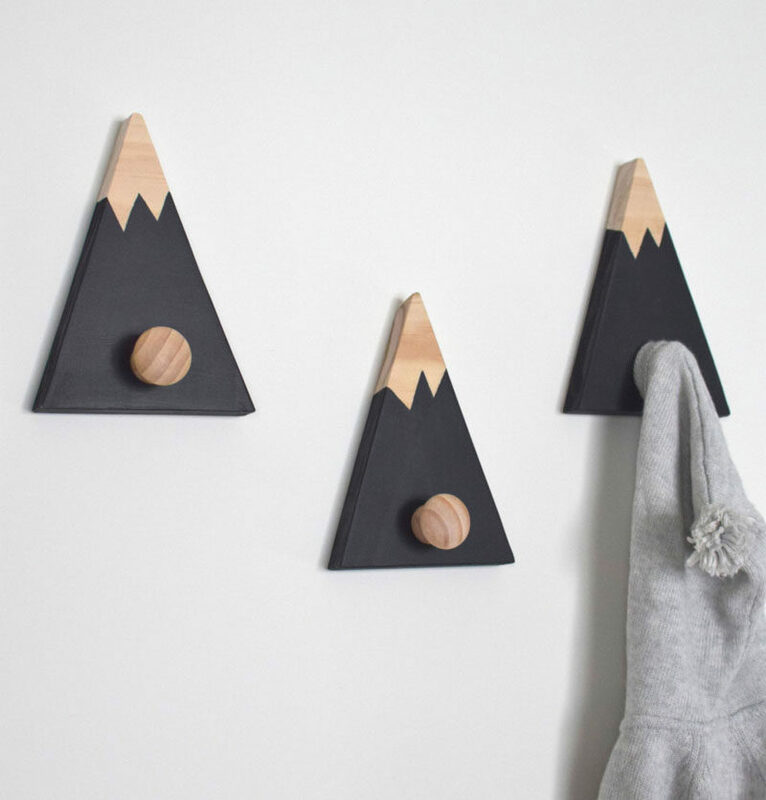 Mountain hooks add a fun touch to the wall and functionality to the room. 11. Log slice floor poufs give active babies something soft to pull up on that isn’t too far from the ground, and gives mom and dad a comfy spot to sit during floor play. Perhaps one of the most important parts of a nursery, after the crib and changing table of course, is the bedding. Make sure you keep it to a minimum in the actual crib, but things like a soft blanket and throw pillow add a finished look to the nursery. 12. Sleep sacks are great for babies because they keep them warm and cozy while also keeping them safe. A woodland one that matches the rest of your decor is an extra bonus. 13. 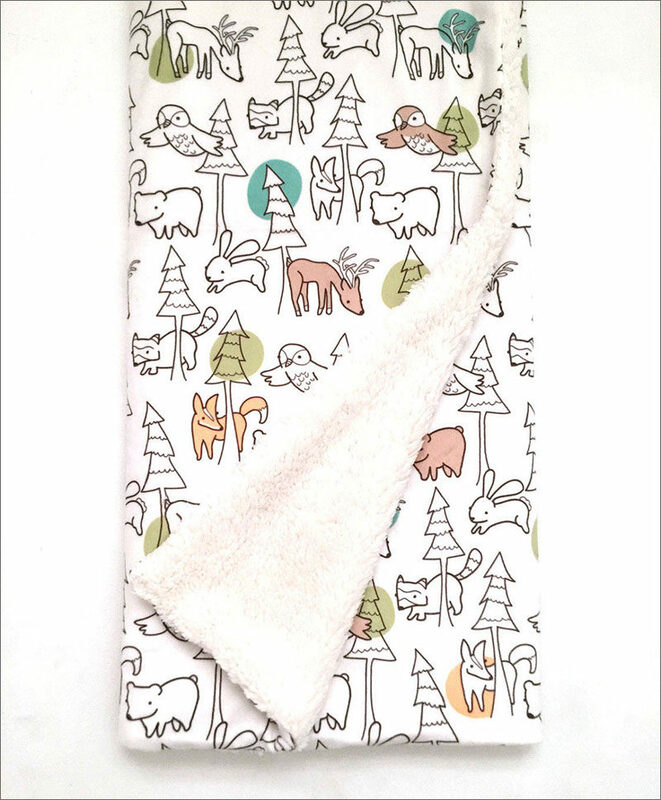 A fleece underside and subtle touches of color here and there keep this woodland blanket simple yet cozy and fun. 14. A woodland throw pillow on the back of the nursery room chair gives your back extra support and makes late nights in the chair a little more comfortable. 15. 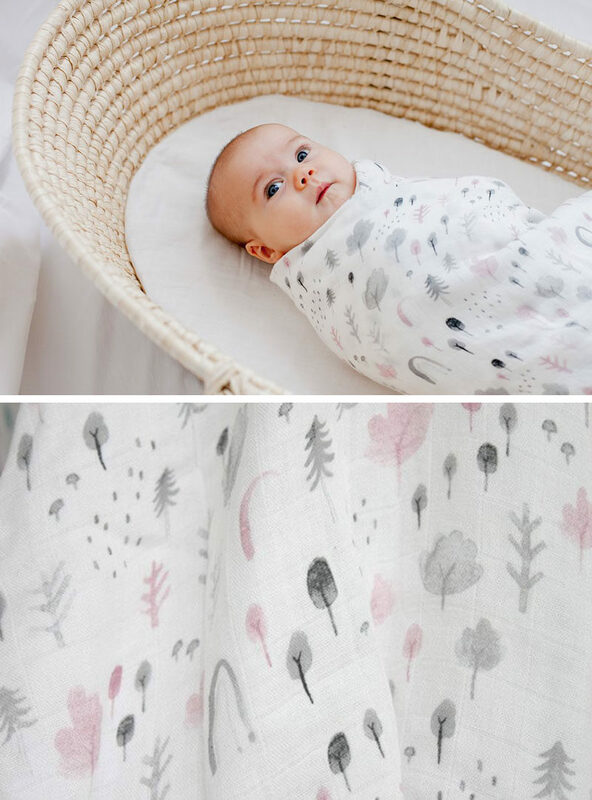 This simple woodland inspired muslin blanket is perfect for swaddling and cleaning up those inevitable accidents.